Sixteen. I just counted them all. That’s the number of Lightning cables I’ve bought on amazon over the last 12 months. 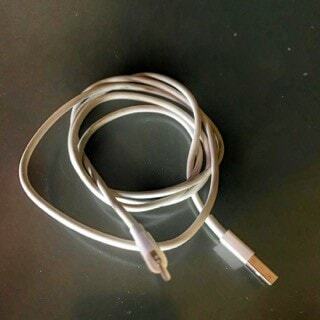 If you’re an iPhone owner you’re probably like me in that you’ve bought a new lightning cable from Amazon recently. I’m a huge Amazon fan, I spent way too much on there. But as a side effect of that I feel like I’m pretty good at finding the best product for a given vertical. Some think phone cables are a conspiracy, designed to fail and keep you buying a new ones. Maybe, but with 2 kids with iPhones mine are constantly disappearing. My kids snag them, their friends are walking away with them, they break. I used to buy just the cheapest ones Amazon had, apparently some of them might have been fake, but did I really care? Let’s start with the cheap ones. They look similar to the original cables, last about as long too. Buying them on Amazon might be hard now because of the lawsuit, but my recommendation is to stay away from them. They rarely last more than 6 months. 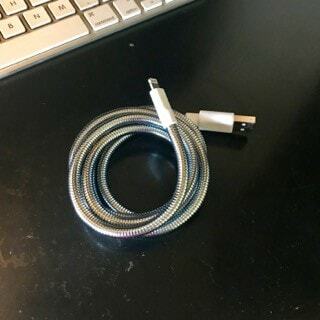 cheap amazon iphone cable fake? My next purchase was to go the complete opposite direction. 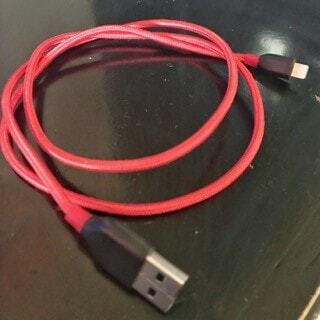 I wanted to get an invincible lighting cable, so I found this one from Fuse Chicken. I don’t know how to describe it other impractical. It’s super stiff. To the point you can even use it as a iPhone stand to prop up your phone while you watch movies. But on your nightstand or in the car, you’ll find the Fuse Chicken cable gets in the way and feel’s like your phone is on the end of a very long selfie stick. I couldn’t do this list without showing you my favorite. The Anker PowerLine+. You can buy it from Amazon here, it’s on Prime as well, you do have prime right? I’ve had 3 or 4 other braided cables as besides this one but the PowerLine+ has a unique feeling of quality the others didn’t quite have and the braid felt much tighter. I’ve had the PowerLine+ about for about 6 months now and it’s held up fairly well. There’s a very slight fraying happening at the connector, every cables weak point. Anker claims the cable’s good for 6000 bends, I don’t doubt them, yet. For just under $15 it’s a good deal though, and it’s the 2nd best iPhone accessory i’ve ever bought. This is my favorite.